With 6 grandchildren and a child care career spanning more than 27 years, 14 of these spent at Kids on 4th and over half of that time spent running our Tadpoles Room (6 weeks to 2 years), Miss Donna knows a thing or two about supporting very young children and their families as they enter into the uncharted waters of child care for the first time. For many families deciding to start their little one in child care can be a daunting prospect. The transition into an early childhood setting is a milestone for both children and parents. Parents, like children, may experience some anxiety during this time. However, with a little bit of preparation and support from experienced educators such as Donna, the transition process can be made as smooth as possible. Our Centre Director, Rachael, sat down with Donna to discuss some of the ways in which we help to make the transition into child care a little bit easier for everyone. 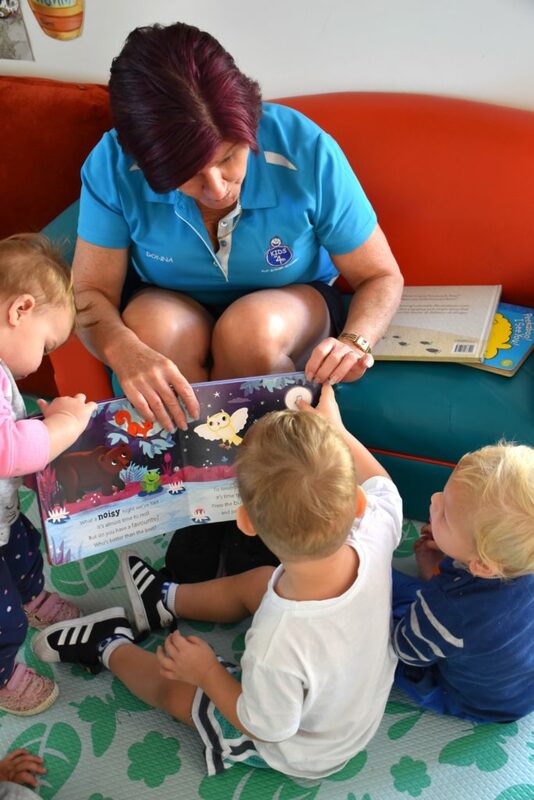 Routines and transitions are an intrinsic part of the day in the Tadpoles Room – “By having a structured (yet flexible) routine each day the children learn what to expect at various times of the day. This predictability provides them with a sense of security and control over their environment. It also enables the children to transition smoothly to different spaces – eg. Moving from the outdoor environment to the indoor environment and knowing what part of the day comes next, such as group time, meal times, bed time.” Routines and transitions work together to give children a sense of knowing, and provide many opportunities for learning. They are also a fantastic time for relationship building, for meaningful interactions, and to prepare them for what is next. Building relationships is at the core of providing high-quality early childhood education and care. This begins from your first visit to Kids on 4th and continues throughout the orientation process and beyond. 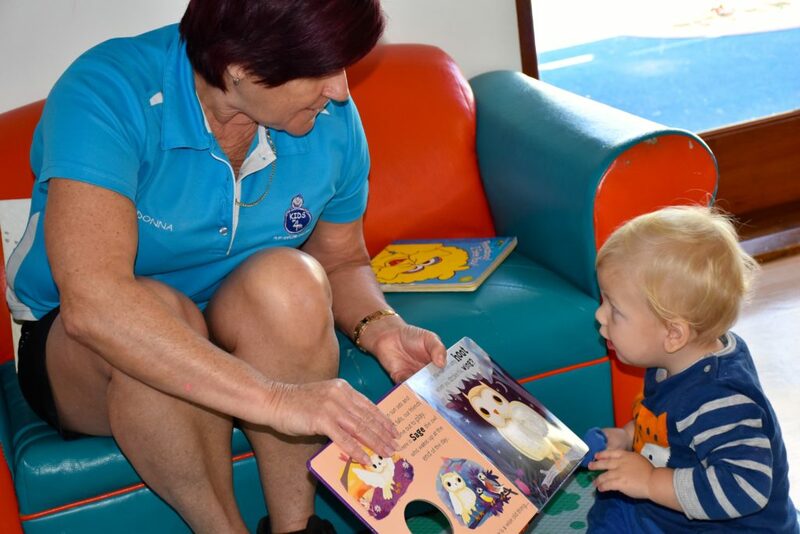 We recommend that you and your child visit the Centre and spend time in their new room getting familiar with the environment and meeting our educators. Some children may only need a short visit a day or two before starting, while others may be more comfortable after a series of visits leading up to their first day. Throughout the orientation process we work in partnership with families to create a plan that best supports each child’s individual needs. Partnerships are based on regular and valuable communication between our families and Kids on 4th. We encourage our families to let us know at any times when things have changed at home with routines, relationships, eating – anything really! We communicate a lot with our families too. Kids on 4th uses the parent software system iChild to let you know about your child’s day and to keep you informed about their learning and development. This is available on any of your electronic devices, so you can read it in your own time and also share it with other family members. At Kids on 4th we understand that for many families, starting child care can be an emotional and anxious time. This can be particularly true for families with a baby or toddler. We are extremely fortunate to have many experienced educators such as Donna to offer support and advice to help make your child’s start at Kids on 4th as easy and seamless as possible. Despite the initial feelings of apprehension, starting child care marks the beginning of a very exciting journey for families and one that we love sharing with you! Book Week Dress-up Day	Celebrating Father’s Day with Little Leagies!